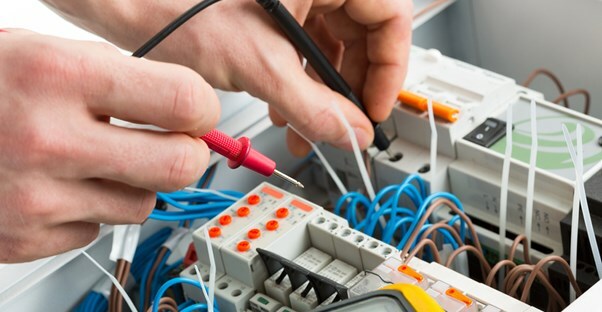 Electricians typically perform troubleshooting, inspections, installations, modifications, and maintenance relating to electronic systems and equipment. This career can be a financially lucrative one, but electrician salaries can vary depending on multiple factors. The region you live in, your specific area of expertise, and the amount of experience that you have all play a role in determining your salary as an electrician. In 2012, the lowest paid electricians earned an annual wage of $30,000, while the highest paid electricians made more than $80,000. As a result, the median wage for electricians in 2012 was $49,840. In addition to these salaries, electricians are typically offered benefits packages as part of their employment. As an electrician, your benefit package will typically include health and dental insurance, paid vacation time, life insurance and 401k. The salary that you are able to earn as an electrician is dependent upon the type of electrician specialty that you choose. For example, an industrial electrician specializes in the maintenance of factory and production equipment; a typical annual salary is $41,000. The salary of a commercial electrician responsible for the electrical equipment of large companies ranges between $50,000 to $75,000, and larger salaries are delivered to those who work for the government. In contrast, a residential electrician performs jobs in individual homes and can expect an average annual starting salary of $32,000. In general, you will make more as an electrician if you live in a major metropolitan area. The median salary for electricians in Trenton, New Jersey and San Francisco, California is more than $80,000. Electricians living in the city of New York enjoy an annual median salary of more than $79,000. Alaska, New York, Illinois, Oregon, and New Jersey are the states that average the highest annual mean salaries for electricians. The amount of experience that an electrician has definitely impacts their salary capabilities. In order to train to be an electrician, you will need to complete an apprenticeship; typical starting salaries are $20,000 per year. Once you have progressed to the level of completing tasks on your own without the supervision of another electrician, you will be a journeyman electrician and can expect to earn between $30,000 to $48,000 as a starting salary. After several years of work experience, you may become a master electrician responsible for overseeing the work of other electricians. At this job level, you will be responsible for obtaining work permits and can expect to earn at least $55,000 annually. One of the benefits of becoming an electrician is the flexibility that the field provides. You will be able to choose from multiple areas of specialties, geographic locations, and employers if you become an electrician. Your salary potential is equally flexible and will heavily depend upon your other career choices.